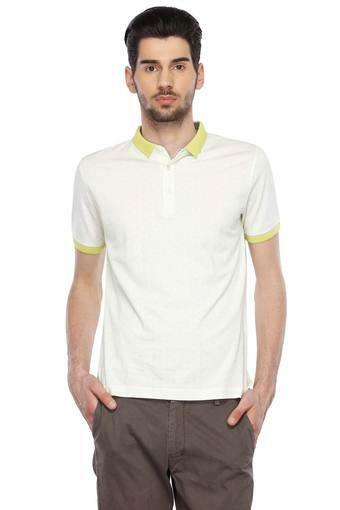 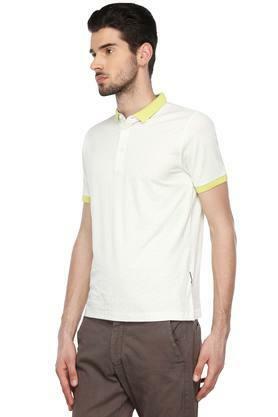 Break away from the usual choices and opt for this T-Shirt from the house of Van Heusen. 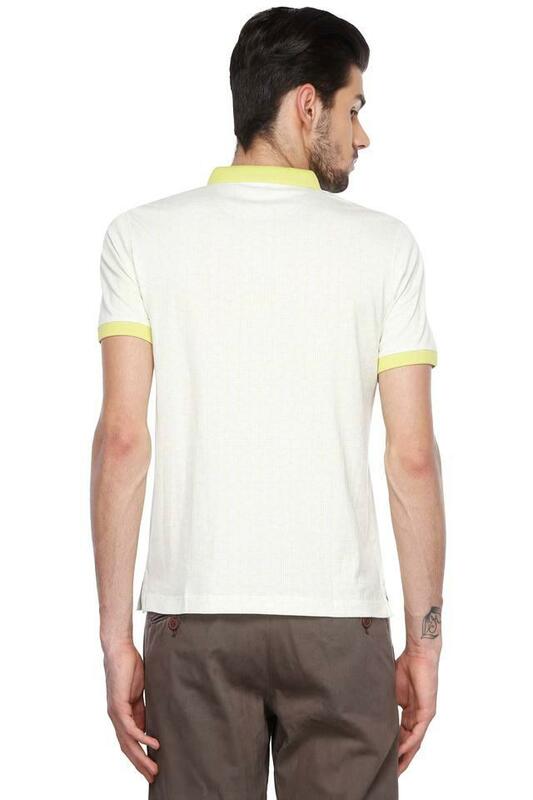 The contrasting ribbed sleeve hem and the polo collar enhance its appeal. Designed to perfection, it also has a print pattern and short sleeves that make for an ideal combination. Grab eyeballs wherever you go wearing this printed polo T-Shirt. 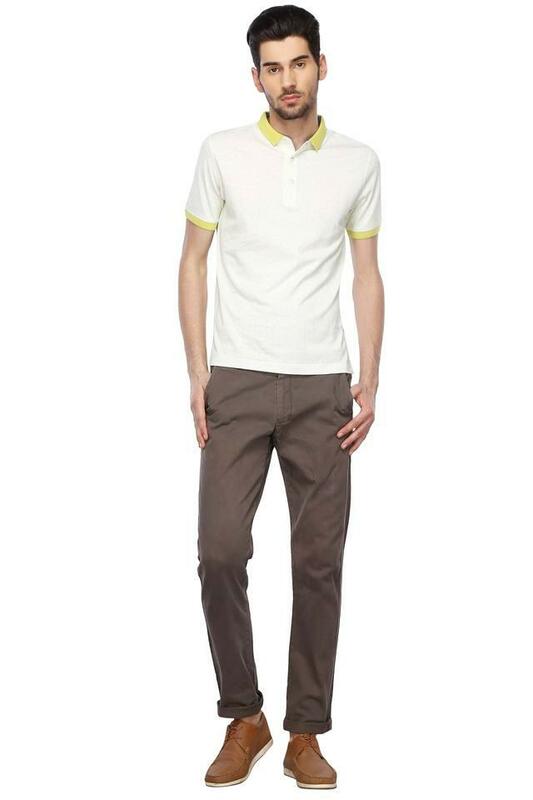 Team it with a pair of printed chinos and lace up sneakers to make a fashion statement.